Meet Barbara Harrison, BASAA Mentor Program Coordinator! One of the most rewarding aspects of my career as an international education professional is meeting and mentoring those new to the field. Such an amazing outcome for both me, as the mentor, and also the mentees. 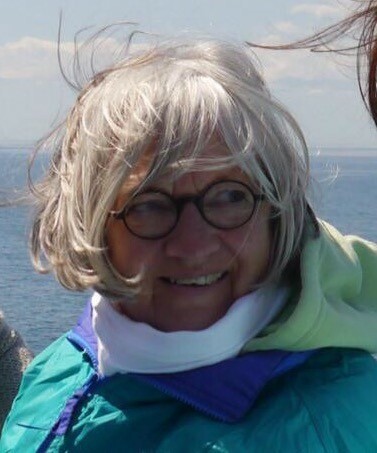 Hi, I am Barbara Harrison, and am now retired after a long and productive career in this field covering all aspects of international education. I am a New Zealander and came to the United States some years ago with my husband, who was pursuing his PhD. Without a work permit, I began a long stint of volunteering in the international office helping and supporting other international spouses, and later international students, at the different universities where we found ourselves. During this journey, I met many future colleagues and numerous forever friends. Finally, with a green card, and later citizenship, I was fortunate to be fully employed in the education abroad field. I have been both a mentee, and as time passed, a mentor. I took a further step in this role by becoming a coach for the NAFSA Academy of International Education. My cohort originally had 20 members, so I solicited the assistance of a colleague, and that year, our region had two coaches and two 10-person cohorts! I enthusiastically agree with the “No ‘child’ left behind” statement! It is now a great pleasure for me to set up the Mentorship Program for the Boston Area Study Abroad Association. We are unified in our work; we have the same goals; yet we are often strangers to each other. Each of us has knowledge to share, whether we are brand new to the field, or long-timers. How rewarding for us to meet up and share our knowledge. The mentor often will not have all the answers, but can certainly guide the mentee in the right direction. In turn, the mentee does not come to the partnership with a completely empty slate. Together, discussion begins, a friendship grows, and a good partnership is formed. Even as I begin to set up this program, and am contacting those who have expressed interest, I am assuming the spontaneous role of mentor. I answer many questions as I go about this work. It is a delight to encourage and support each one. Please don’t hesitate to share your skills and information with someone else. It’s easy; takes a few minutes of your time; and is very rewarding for you both. I look forward to creating the initial partnership and then setting you free to create something that will enhance you both, as well as in the long run, be beneficial for our students. I can be reached at basaamentor@gmail.com. Don’t be shy! ← 4th Annual Bowl-a-thon raises over $10,000 to support scholarships!